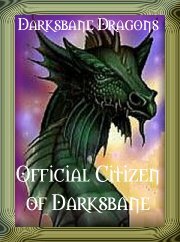 I'm a member of the Darksbane Dragons Team! Thanks for the flower Cigarwrapper:) More flowers in my spirit garden! Want to exchange votes? Add yourself to my list of supporters by clicking here. To go back to the main page, click on the cave.